It's often hard to believe that beautiful digital prints are ultimately created from numbers that could just as easily be printed out in undecipherable rows and columns. Nothing demonstrates this fact more clearly than the issues of bit depth and exposure with digital cameras. Earlier in this book we learned how the Zone Scale functions as a bridge between the meter numbers we use to measure subject values and contrast, and the tonal values of fine photographic prints. Recall that bit depth is a measure of the number of different tonal values that a pixel is allowed to be in a digital image file. The more distinct tonal levels there are in an image, the more photorealistic it will look. But, it has been demonstrated experimentally that only 200 individual tones are enough for human beings to believe that they are looking at a continuous-toned reproduction. This is like saying that, if a mural artist were given little tiles that had 200 different tones she could create an image that looked like this. FIGURE 80 Adequate bit depth illustration. But if she only had tiles that had 100 different tonal values she would have to make a mural that looked like this. FIGURE 81 Low bit depth illustration. 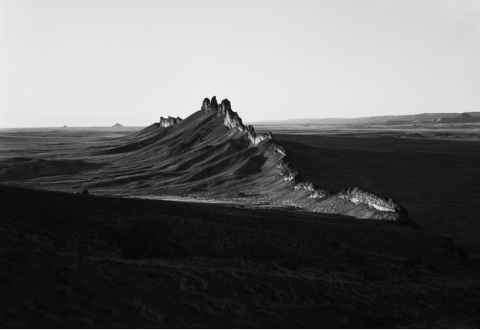 The harshness and lack of subtlety in Figure 81 is the result of the limited number of pixel tonal levels in the image. In Adobe Photoshop histograms these individual pixel tonal levels are numbered from 0 for the blackest possible pixel to 255 for pure white pixels. This again is like having a choice of 256 values of tiles to choose from when you are building a mosaic mural. 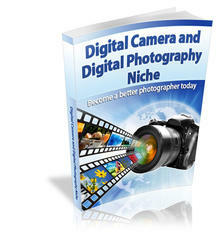 The pixel levels in digital images are organized into layers that are called "channels." 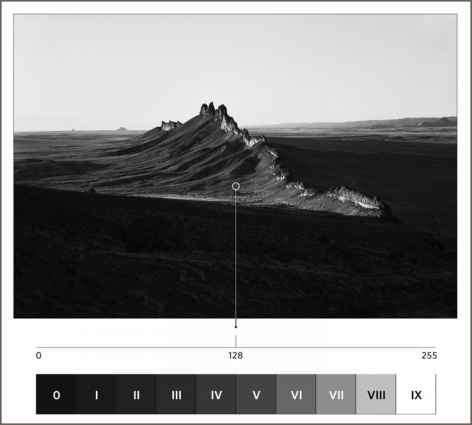 An 8 bit black-and-white image has one channel called "Gray" with pixels that can be any of 256 different levels of tone. FIGURE 82 Gray Channel with 256 pixel tonal levels. 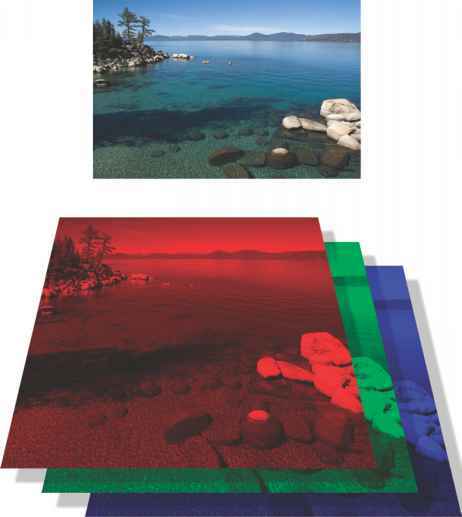 Color digital images have three channels — Red, Green, and Blue — that are combined to create mixed colors. In 8 bit color images, each of these channels also has pixels that can be 256 levels of the red, green, and blue colors. This adds up to about 16.7 million different color possibilities. (256 X 256 X 256). FIGURE 83 Color Channels with 256 pixel tonal levels each. To understand how histograms come into being from all of this, imagine how it would look if we took a black-and-white image and selected 256 of its differently toned tiles (pixels) and laid them down in a line with the darkest one on the left and the lightest one on the right. For Figure 84 I've drawn this line of tiny pixels above the familiar 10-step Zone Scale, but remember that there are actually 256 sections or "Tonal Levels" in the histogram line. If someone were to ask you which pixel in this line is exactly the same tonal value as a specific tone of gray in a digital photograph, you could measure that spot with a device designed for that purpose and it would give you the exact pixel reading you were looking for. If the print value in question happened to be middle gray, its pixel value number would be 128 or half way between 0 and 255. FIGURE S4 256 pixel tonal levels and Zone Scale. If you then wanted to illustrate how many pixels with the value of 128 there were in that image you would draw a tall line if there were a lot of pixels with that tonal value, or a shorter line if there were only a few. FIGURE 85 Pixel level 128 identified. 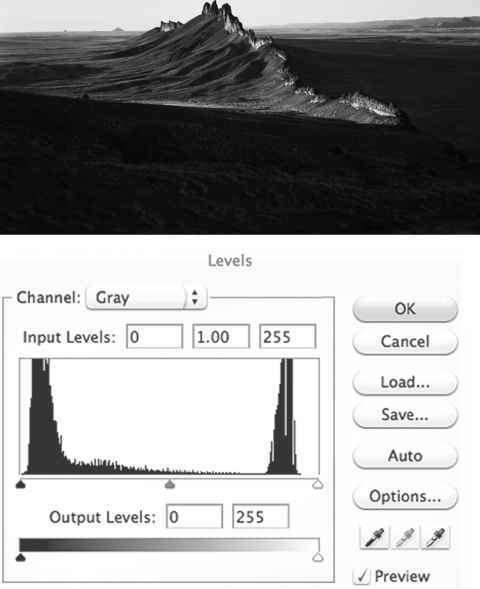 FIGURE 86 Digital histogram in Photoshop's Levels Command. If a given pointer is below empty space in the histogram that means that no pixels in the image have these values. Understanding histograms is important. Study these illustrations carefully so that what they represent is clear to you.